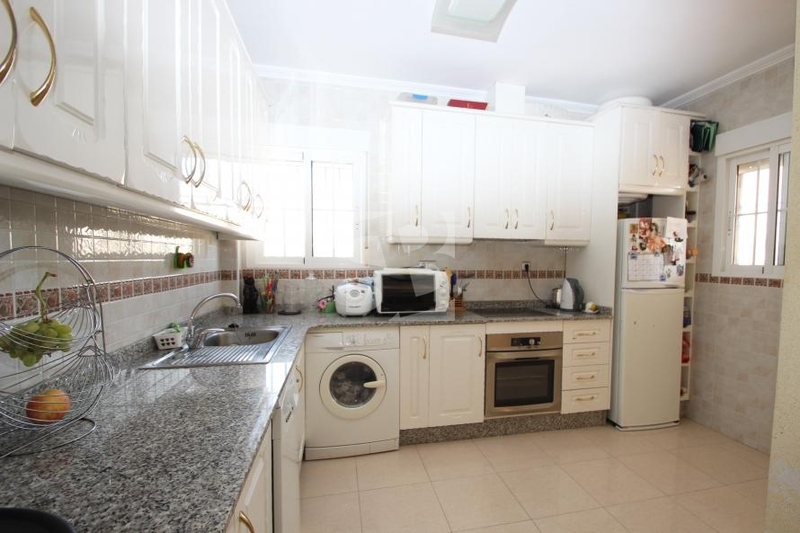 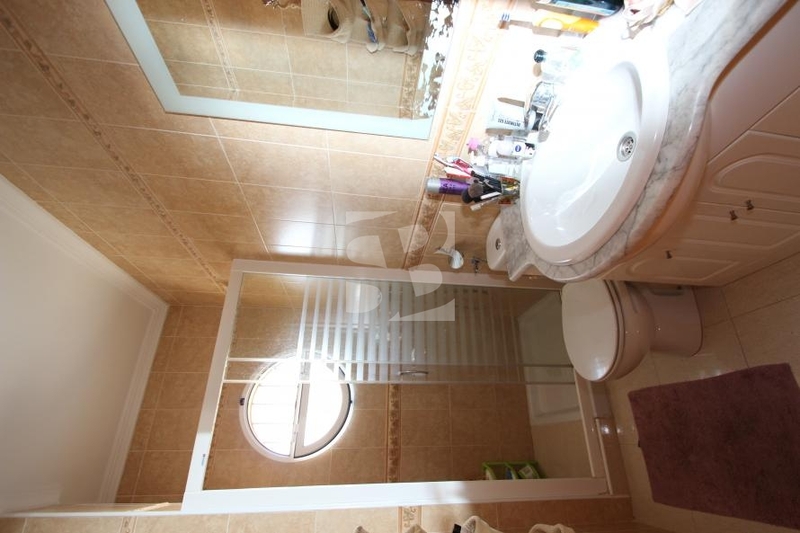 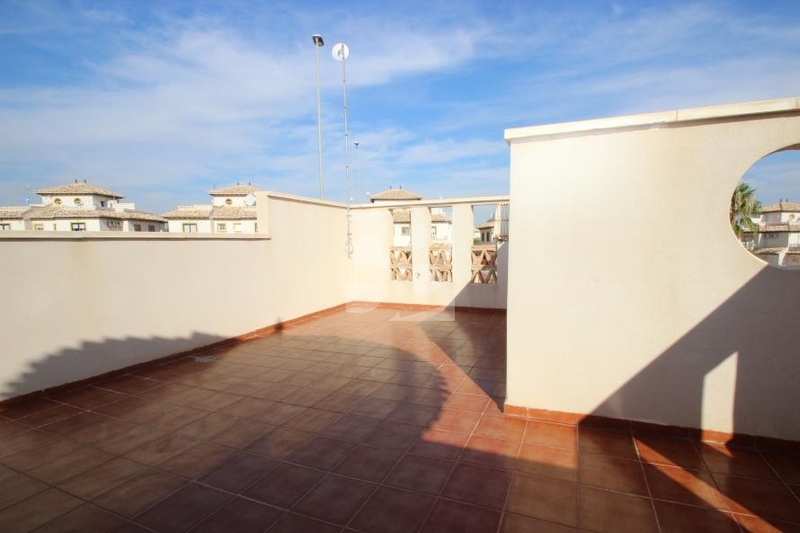 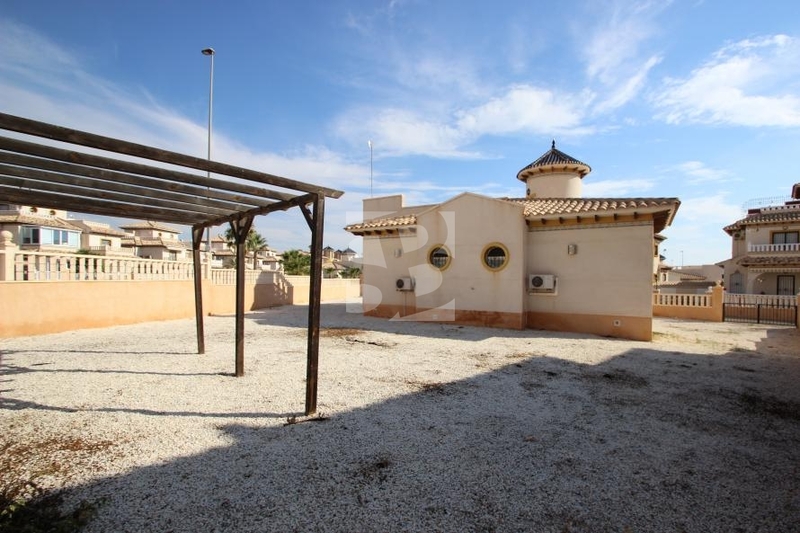 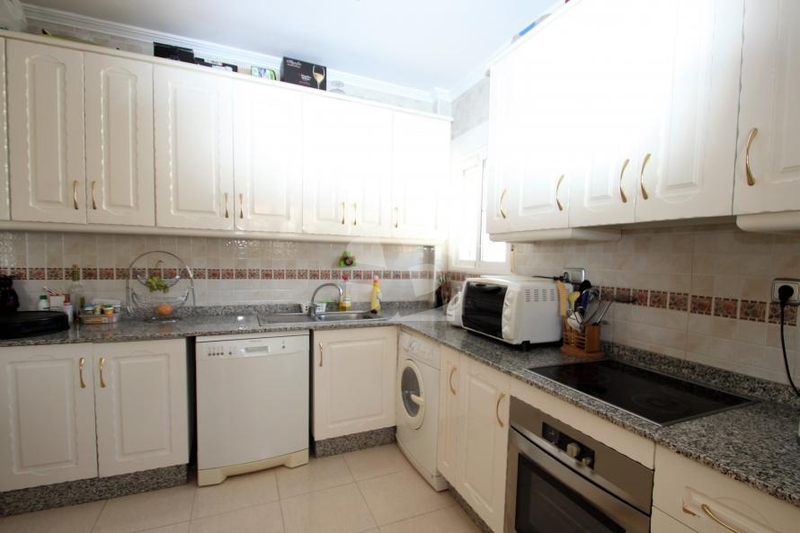 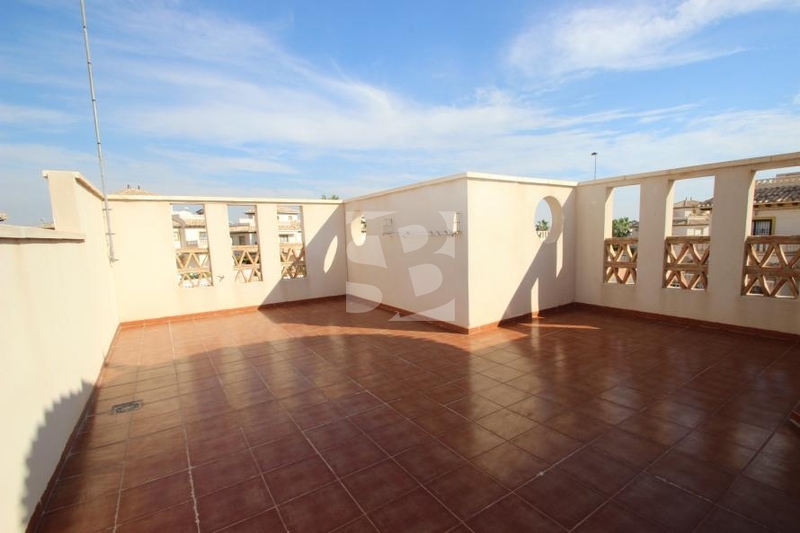 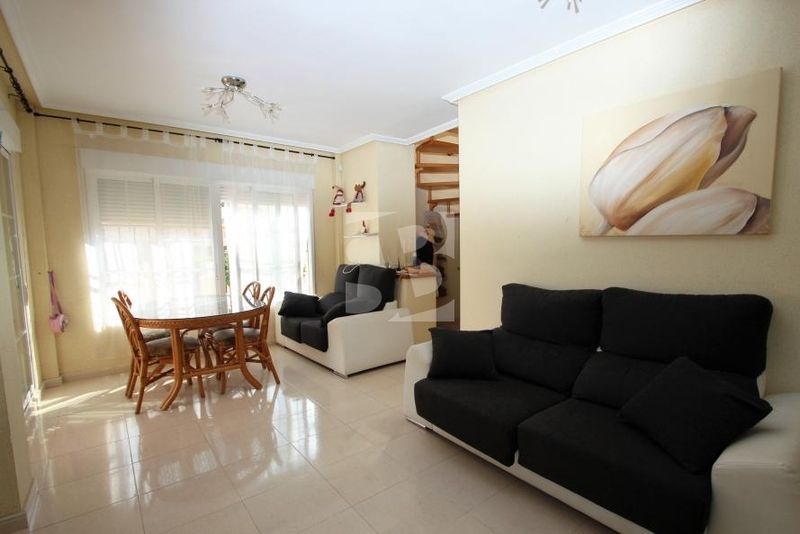 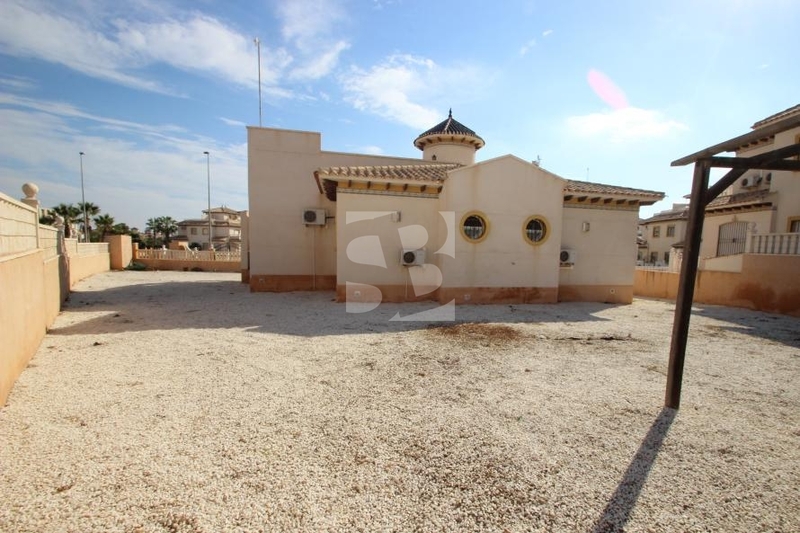 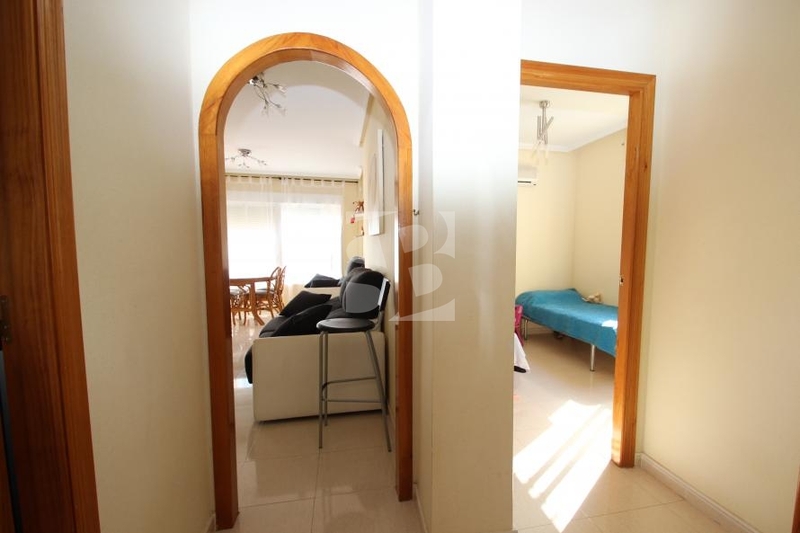 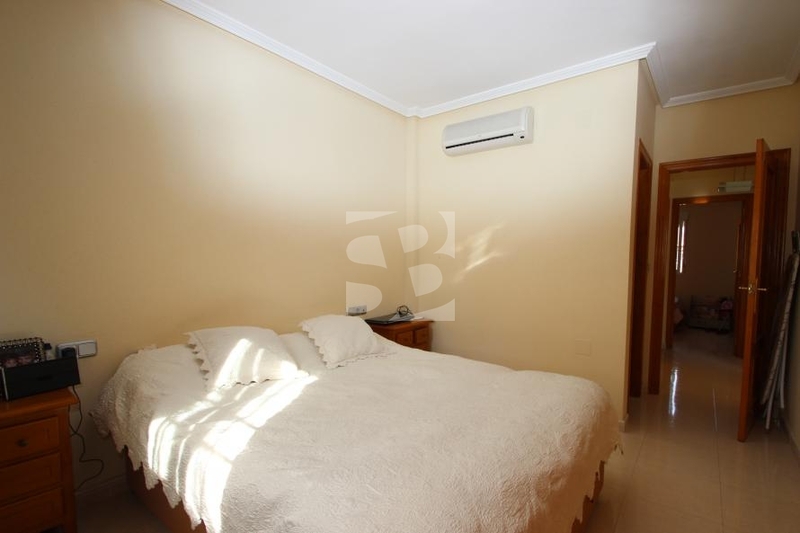 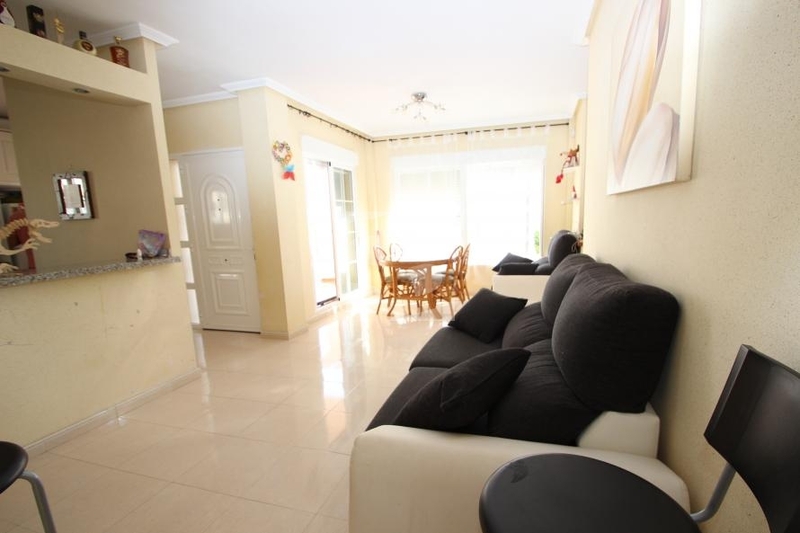 ORIHUELA COSTA-CABO ROIG.- Beautiful detached villa with 620m2 plot. 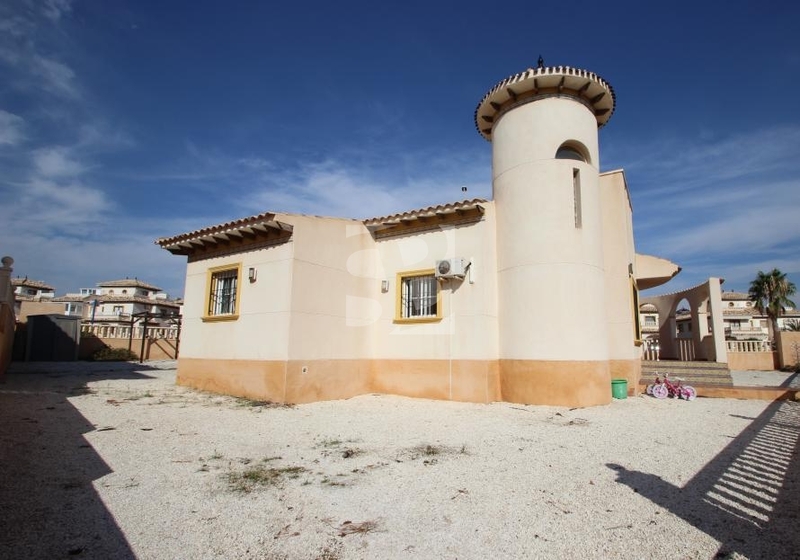 This beautiful villa in the heart of Residencial Playa Golf in Orihuela Costa has three bedrooms with wardrobes, two bathrooms, living room, dining room, kitchen with gallery and exit to plot. 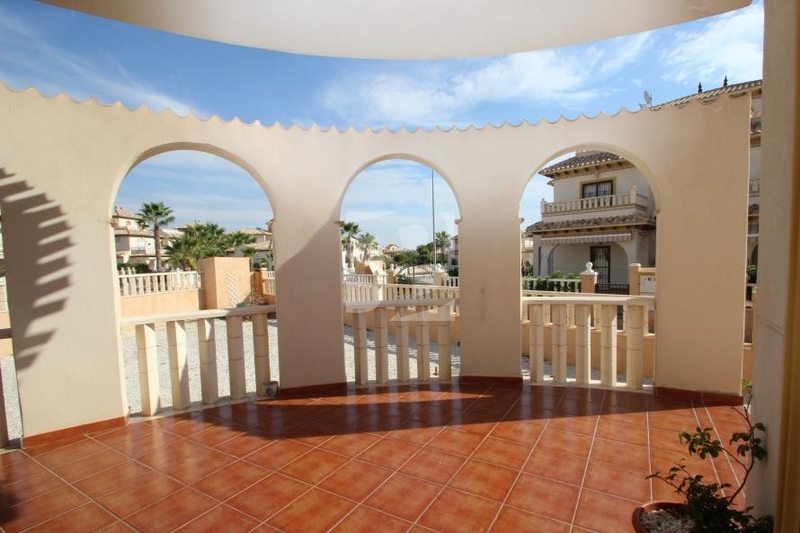 The house has a large garden that can be used for parking several vehicles, to build a private pool, enjoy our great weather, relax, meet friends, and achieve a high quality of life. 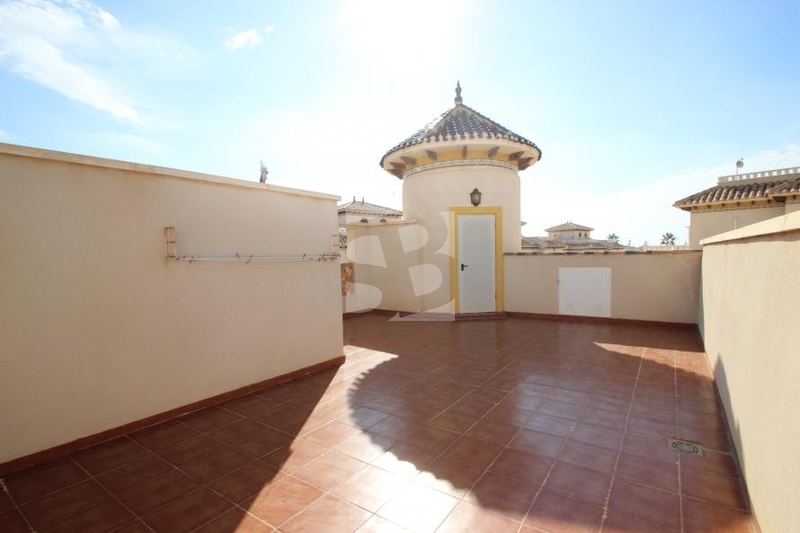 On the top floor we find a solarium mágnifico with many possibilities and you clear views. 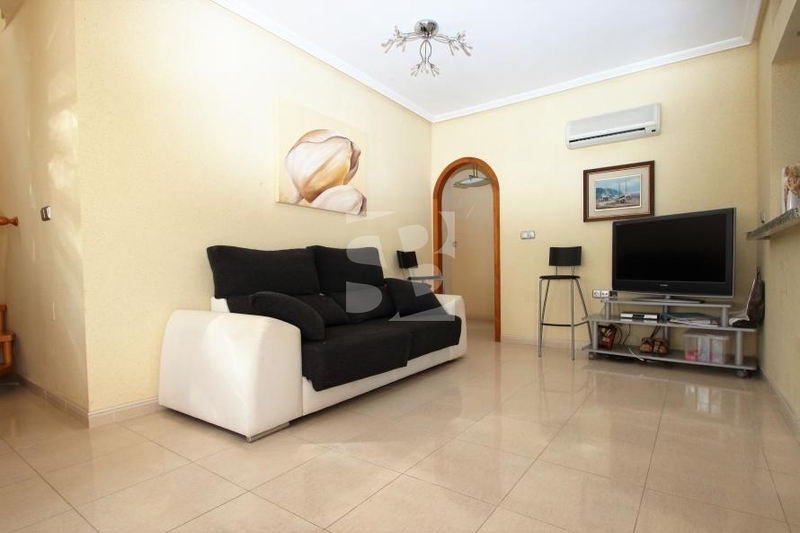 This villa is sold furnished and equipped with air conditioning also has a communal pool and gardens. 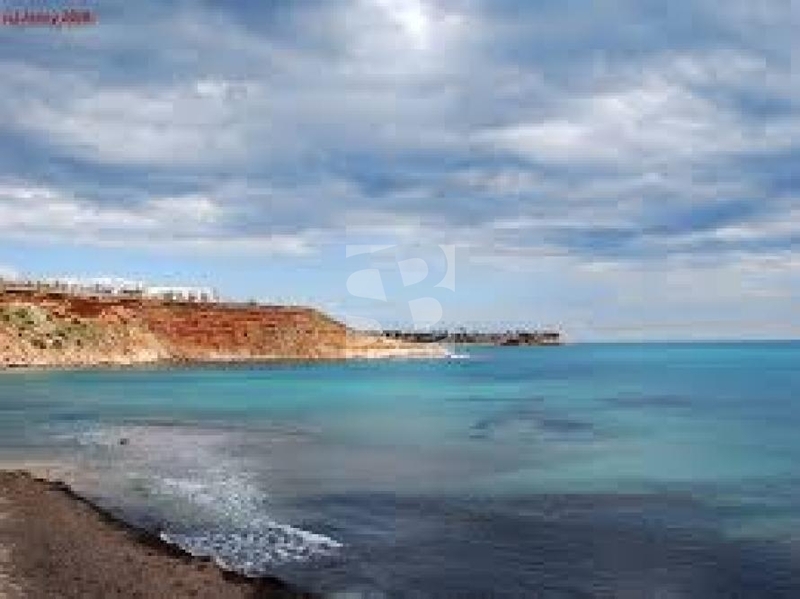 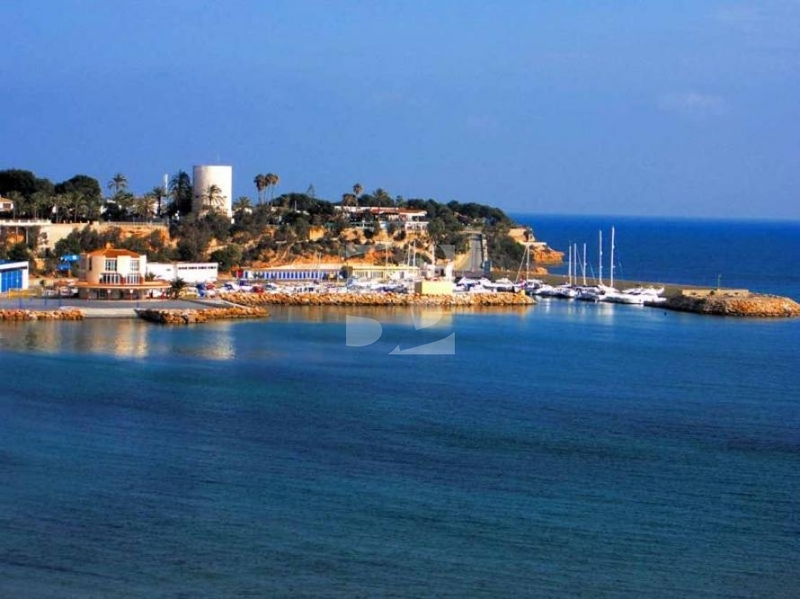 His localición in an enclosed and surrounded by beautiful greenery urbanization hous- give this additional value.Cabo Roig is a residential area by the sea, where you can enjoy water sports, leisure and beaches. 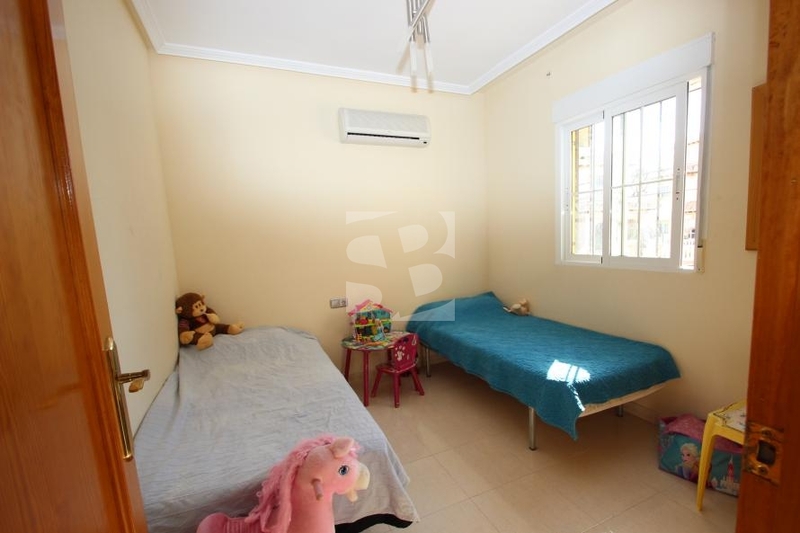 It is close to all amenities like Zenia Boulevard Mall, sports facilities, shops, schools, market, ... Torrevieja center and the beautiful beaches of Cabo Roig, Playa Flamenca blue flag A few minutes from the golf courses Las Colinas, Campoamor, Las Ramblas and Villamartin golf club. 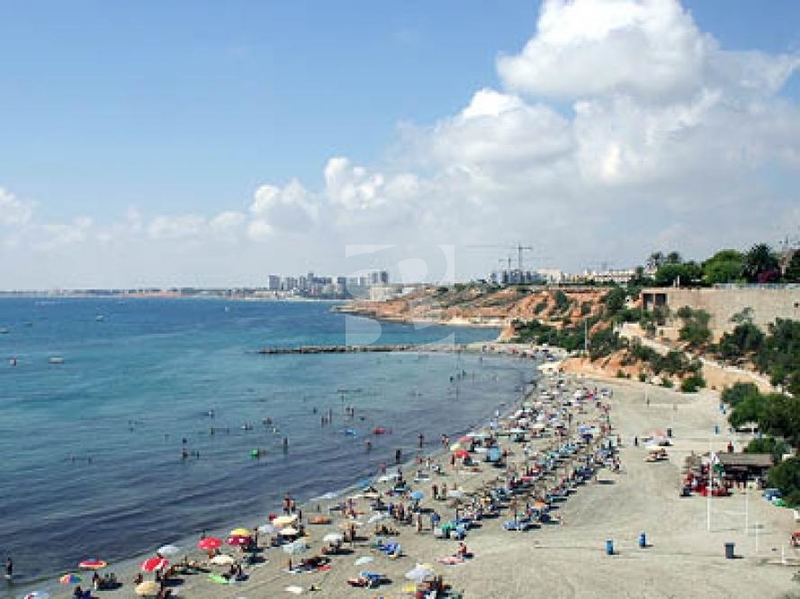 Good communication with the Mediterranean motorway AP-7 and N-332.